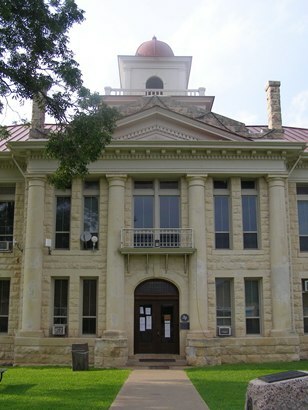 Blanco County Courthouse, Johnson City Texas. 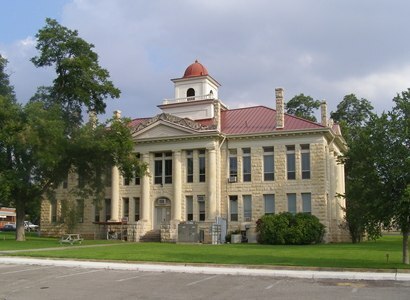 The Johnson City Courthouse is the last of three for Blanco County. 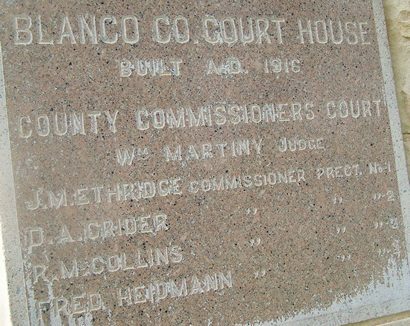 Two previous courthouses were in Blanco. 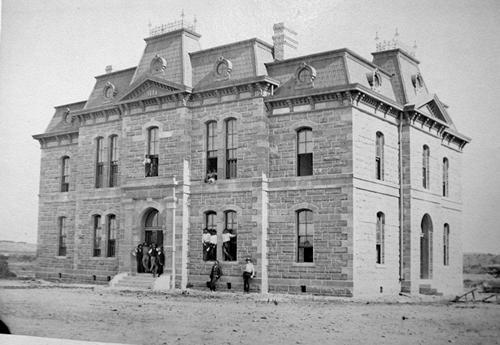 One, an 1885 F.E. Ruffini design, has recently been restored. 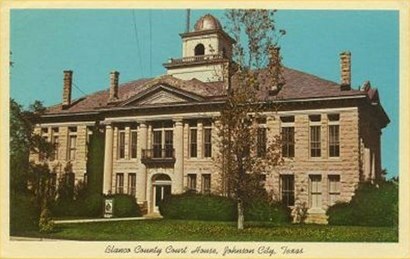 The county seat was moved from Blanco to Johnson City in 1890. 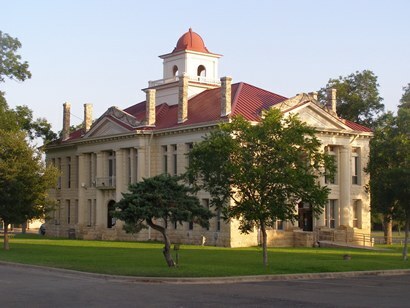 Designed by San Antonio architect Henry T. Phelps, the 1916 Blanco County Courthouse was the first permanent courthouse built after the seat of government moved from Blanco to Johnson City in 1890. 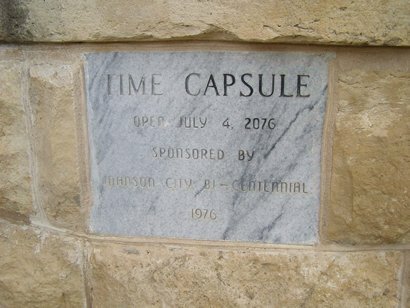 Serving as contractor for the project was stonemason James Waterston, who had come from Scotland to Texas in 1883 to aid in the construction of the state Capitol. 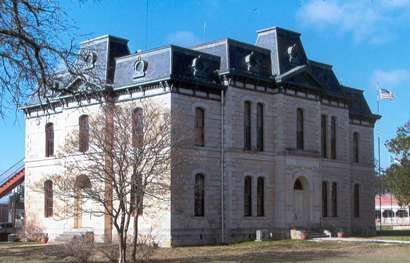 The Classical Revival limestone structure features Doric columns and a domed cupola. 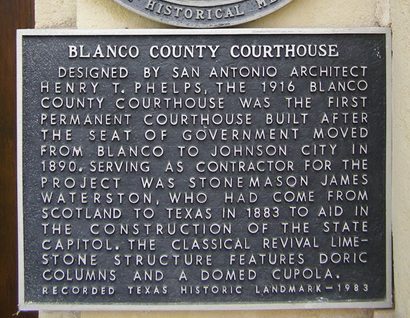 Blanco�s architectural centerpiece is (and has been) the former Blanco County courthouse. 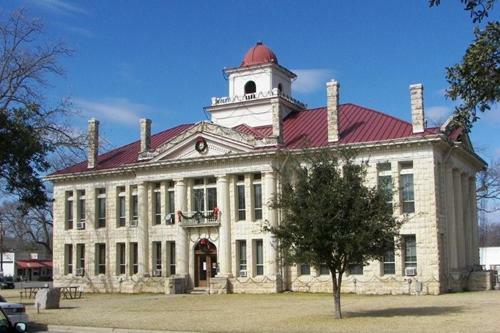 Although it served in that capacity briefly (Johnson City usurped Blanco�s claim around 1890), the sturdy stone structure has since served the town as a hospital, school and even a barbeque joint. 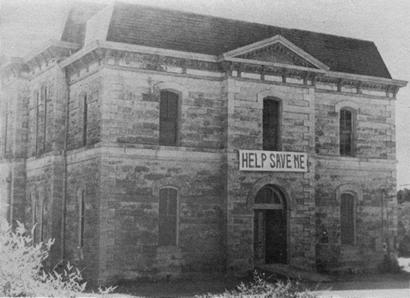 It was boarded up and was in disrepair in the mid 1990s. 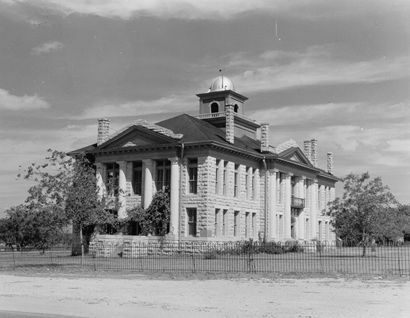 But Preservation-minded locals got together and formed the Blanco County Courthouse Preservation Society. The building has since been beautifully restored and is now one of the best extant examples of the art of Architect F.E. Ruffini. 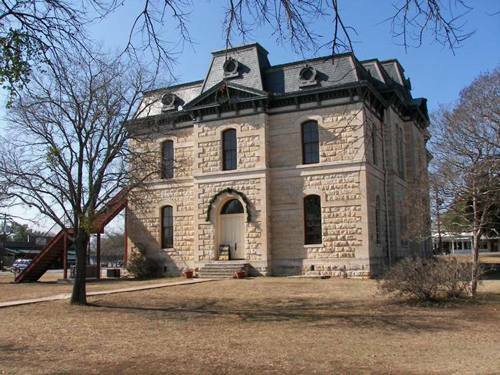 This and 37 other buildings in Blanco are in the National Register of Historic Places.